Borders obstruct through a variety of guises – geopolitically, between disciplines, across publics and counter publics. The 2012 InASA Conference will explore the conditions under which borders are breached and enforced. Attention to the transnational circuits of information, technologies, bodies and ideas is increasingly seen against the discontinuities, lapses and blockages that characterize the growing political preoccupation with border security, internet restriction and the trafficking of people and animals. Mobility itself is racialised and subject to the countervailing forces of disparate regimes of gender, class and sexuality. Security, sovereignty and secrets are pitted against protest, asylum and leaks. Despite Australia’s economic buoyancy throughout the Global Financial Crisis, largely through its resource boom and exports markets to China and India, the nation remains anxious about its borders, and much else besides. The extradition of Wikileaks frontman Julian Assange, the decline of the Murdoch media empire, the loss of servicemen in Afghanistan, the detention of tourists for drug trafficking in Bali, the drowning of dozens of asylum seekers-all point to the ongoing dilemmas of Australia and Australians’ relationships with the region and the world. At home, the decline in the standard of debate around the critical issues of climate change, the place of Indigenous Australians in the Federal Constitution, and local versions of the Occupy movement have reignited debate about the way Australians see themselves and imagine their future. At times fretful and fearful, on other occasions Australia and Australians seem exultant and ascendant. 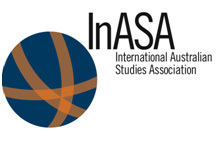 The 2012 InASA Conference, jointly hosted by Monash University’s History Department and its National Centre for Australian Studies, will provide a forum for much needed complex analysis and discussion around these issues through its theme: Border Breach. The conference is designed to encourage reflection on both Australian effects in transnational circuits of meaning and ideas, but also the inherently interdisciplinary and global nature of Australian studies. The movement of ideas and people across Australian borders is mirrored in the academy, compelling an immensely productive, constantly shifting context for thought and contention that this Biennial InASA conference will showcase.